Putting the cacophonous debate on the merits and demerits of demonetisation of Rs 500 and 1000 currency notes aside, there is no doubt over it having hit the farmers all set to go for Rabi crops sowing hardest. Almost entirely dependent upon cash transactions for everything from buying seeds to fertilisers, the move has ended up turning their earnings into trash overnight with many of them having nothing else to “bank” upon and that too for no fault of theirs. Though banking services have never really penetrated well in the hinterlands of India, the World Bank-Gallup Global Findex Survey 2014 put the number of people with a formal bank account in India at a paltry 53 per cent in 2014. This too came only after a massive push to Prime Minister Narendra Modi’s massive push to his pet Pradhan Mantri Jan Dhan Yojna (PMJDY), banking access had stood at even abysmal 33% the year before. Further, though the PMJDY did increase the number of accounts opened, it did not actually mean usage of the same for transactions as studies after studies found out. In fact the number of Zero balance, or unused accounts was so high, 76% of the all opened by September 2014, that banks had to take recourse to deposit Rs 1 in scores of them to save the scheme from embarrassment of being a disastrous failure! The numbers betray the real status of the access an average farmer has to bank accounts. What they do not is the fact that the Reserve Bank of India order debarring cooperative banks from accepting or exchanging old notes has badly affected most of even those farmers who have real, operating accounts in these banks, often the only ones serving the rural areas. Despite the real concerns over functioning of some of them, particularly in Maharashtra, cooperative banks often serve as the life line for the farmers abandoned by mainstream banks. For example, district co-operative banks have more than 17,000 branches in Uttar Pradesh alone largely catering mostly to sugar cane farmers and having distributed short term crop loans to 32.24 lakh farmers in 2015-16 (until now) alone! Similarly, mainly rural customers of Kerala’s 1,551 primary cooperative banks with deposits over Rs 1, 37,000 crore have been affected badly by the RBI diktat. It is in this context that the recent request by the Union Agriculture Minister of India to finance ministry for allowing farmers to use them for buying seeds makes perfect sense. It also betrays the fact that the move has been disastrous for already beleaguered peasantry and may as well end up as the proverbial last nail in the coffin of agriculture. The request makes even more sense because farmers of India have been reeling under a relentless agrarian crisis even before and needed help, not the demonetisation jolt. Forget years of successive droughts having broken their backbones, the extent of damages caused by them across India even this year is hidden to none. The crisis has been severe enough, after all, to put provincial governments and union government at war with each other for claiming credit for relief work, at times going to the absurdity of rushing Water Trains without a drop of water to the affected areas. It has been severe enough to claim thousands of lives- Maharashtra government, for instance, admitted that 2053 farmers had killed themselves from January 1, 2016 to 30th June as against total 3228 suicides it admitted in 2015. 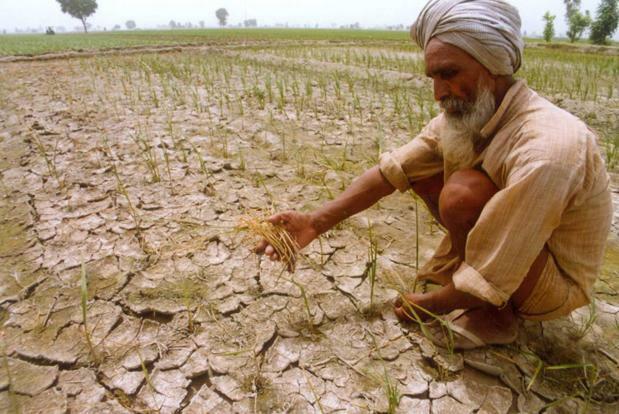 Worse even, this year has seen the crisis earlier hitting the farmers worst in Maharashtra, Bundelkhand and Telangana engulfing newer areas like Karnataka. The state has already seen 457 farm suicides since April this year! In such a scenario , allowing the farmers to use old currency notes to buy seeds, especially after a good monsoon this year might have led to relative easing of pressure off their shoulders. What makes no sense, however, is the Finance Ministry’s outright rejection of the demand arguing that this may become a conduit to offload black money. Have the implications not been near catastrophic for the farmers, one could have laughed at this lame an excuse! To begin with, the Union Minister of Agriculture had made the request with ample security measures in place, collecting photocopies of identity documents and other details for the selling agencies such as National Seed Corporation, Indian Council of Agricultural Research or state agriculture departments for instance. He had also proposed to allow no refund of money or return of seeds purchased through old currency notes. Further, the same finance ministry has allowed the use of old notes for various essential services, including buying movie tickets in Maharashtra! Evidently, the finance ministry has not merely erred gravely in denying the demand of a cabinet colleague, it has also exposed farmers’ to even more distress in doing so. 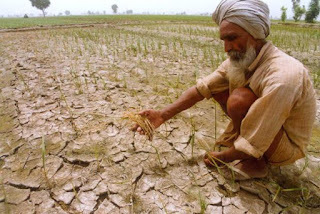 The decision does not augur well for anyone- neither the farmers with no cash to go for Rabi sowing despite time slipping out of their hands, nor the country as it could only aggravate the farm crisis and bring a spurt to farm suicides already on an exceptional high this year. The finance ministry should immediately reconsider its decision and allow the use of old notes for buying seeds unless it is okay with farm crisis claiming many more lives. It is just that the blame of inviting such a disaster will lie squarely with it in that case.